Steven R. Pietro offers an inside look at Justice Government Supply, Inc.
WEST PALM BEACH, FLORIDA, UNITED STATES, October 26, 2018 /EINPresswire.com/ -- Justice Government Supply, Inc. is a Native-American Service-Disabled-Veteran-Owned business proudly serving the Women and Men of the U.S. Military with the finest Choice Cut Beef Steaks, Roasts, Butcher Chops, and a full line of Center-Of-The-Plate Proteins worldwide. With a reputation for honesty, integrity, and outstanding client services, at Justice Government Supply, Inc., these principles—paired with a best-in-industry product—form the foundations upon which the business operates; wholly committed to serving its clients, strategic partners, and U.S. Troops stationed across the globe, according to Steven R. Pietro. 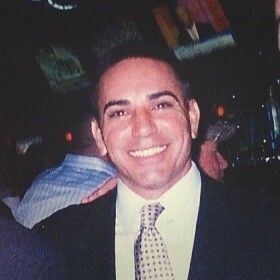 Founder and President of Justice Government Supply, Inc. for over a decade, Pietro is responsible for creating and developing the entire organization's strategic and logistical plans and operations, and successfully implementing them into a cohesive and synergistic operational framework. "During the Afghanistan War, Justice Government Supply, Inc. was proud to be the number one military bulk ground beef provider globally. Our proven track record in terms of both capacity and capability shows that while we may be a small business, we do very big things. Our quality, attention to detail, competitive pricing, and strict standards—as well as our value-added programs and hands-on approach—are rigorously maintained day in and day out," Pietro explains. As a result, and for several years, Justice Government Supply, Inc. has been recognized as a Top 100 Military Food Supplier as published in Government Food Service magazine. Furthermore, Justice Government Supply, Inc. also prides itself on being a 'Green Light' vendor, according to Pietro. Not only is our CEO, Grady Renville a Service-Disabled Veteran who served in three of the four branches of the U.S. Military, the Army, Navy and Marines, he is also a Native American of a recognized Tribe. As such, we are proud to be participants in the U.S. Department of Defense Office of Small Business Programs 'Indian Incentive Program' wherein our client Prime Vendors and strategic partners receive, via the program, a five percent rebate of gross invoice purchases thereby providing a win-win scenario for all involved. 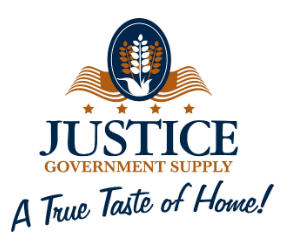 "At Justice Government Supply, Inc., we produce a full line of center-of-the-plate beef and pork products as well as bulk ground beef and hamburger patties. We believe that honor, integrity, dedication, and commitment to service are not just words, but a credo to live by," he reveals. "We also believe," Pietro continues, "that our women and men in uniform deserve the same excellent quality products that our families dine on in our own homes." “As a result of that philosophy" he adds, wrapping up, "we at Justice Government Supply, Inc. provide what we call 'A TRUE TASTE OF HOME.'" A graduate of Creighton University in Omaha, Nebraska, and San Diego's California Western School of Law, Steven R. Pietro currently resides in West Palm Beach, Florida. An experienced professional with a demonstrated history of working in both the public and private sectors, as well as within the military industry, Pietro is skilled in leadership, sales, team building, public speaking and management, among other talents.